It’s Tuesday, and you know what that means… Book Talk Tuesday! Let’s talk about the book Number Talks: Helping Children Build Mental Math and Computation Strategies by Sherry Parrish! This book comes complete with a DVD containing classroom clips from Kindergarten, Second Grade, Third Grade and Fifth Grade. Plus, it is updated with Common Core connections. I have the older version, which I LOVE! 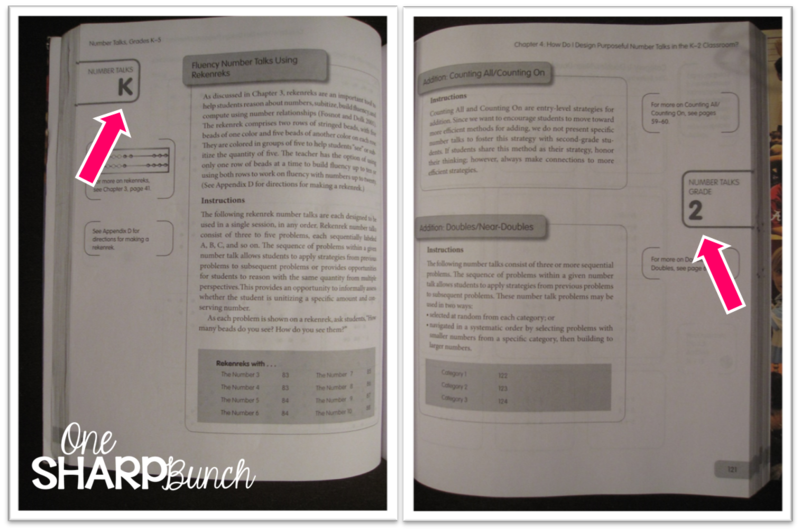 What I especially love is that it has a section for K-2 number talks and a separate section for 3-5. Yes, friends! This book is broken down into lower and upper grades and actually has developmentally appropriate activities for each! After reading this section and watching the Kindergarten clips from the DVD, my team was inspired to make a set of rekenreks for each classroom! Did you know that rekenreks originated in the Netherlands?!?! 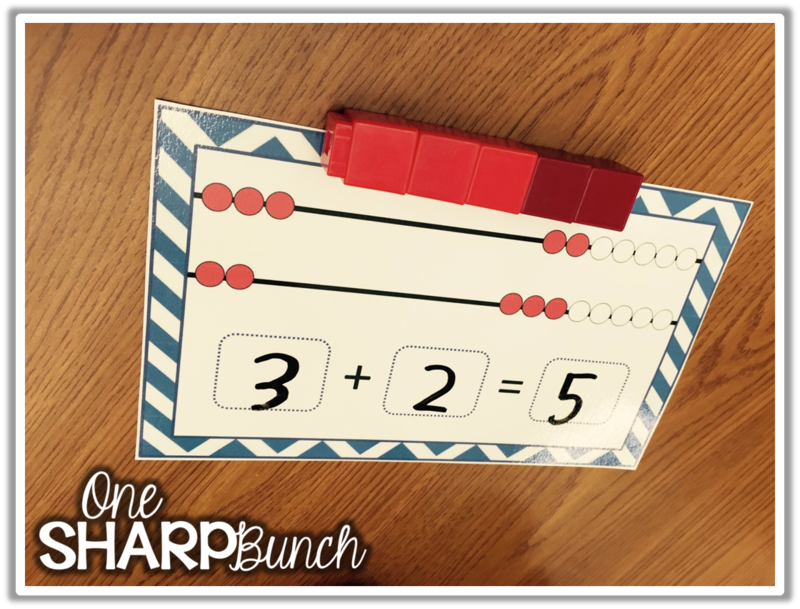 They can be used to help students reason about numbers, subitize, build fluency, and make mathematical computations using number relationships. All that from two, tiny strings of ten beads (look at that alliteration)! Do you see how my students used the rekenrek to build the number five? The first student chose to build five with the numbers 5 and 0, while the second student built five using the numbers 2 and 3. This visual representation of the number lends itself perfectly to number talks. We were quickly able to see and discuss all the different ways to compose/decompose the number five. As the year progressed, we began to add a number sentence to match our rekenrek. This is why my team decided to string the beads at the top, leaving enough space at the bottom to write with a dry erase marker. Now, I know number talks are meant to revolve around quick, mental math; but I feel that strong number sense develops by representing the numbers in multiple ways and making connections between these representations. Yes, we can make connections in not only ELA but also math! These little boards inspired me to create some rekenrek cards that I could use with my students for whole group instruction, as a center activity or during small group intervention. These cards can be used alone or with a rekenrek! For whole group instruction, I use these cards for fluency and subitizing practice at the beginning of my math lesson. I simply flash the card real quickly, and then ask the class what they saw on the card. Some students may automatically give me the sum of the top and bottom row. In this case, I will ask how they knew it was that particular number. When representing numbers from 10-20, we can quickly visualize the ten as 5 and 5, and then count on or add on the remaining beads. During small group instruction, we discuss what number we see in each row and what total number this makes. I also like to rebuild the rekenrek using unifix cubes or some other manipulative. If the rekenrek showed 3 + 2, the students would use three red cubes and two of another color. Students will then write the number sentence. This is just another way of making a connection between each representation of the number. 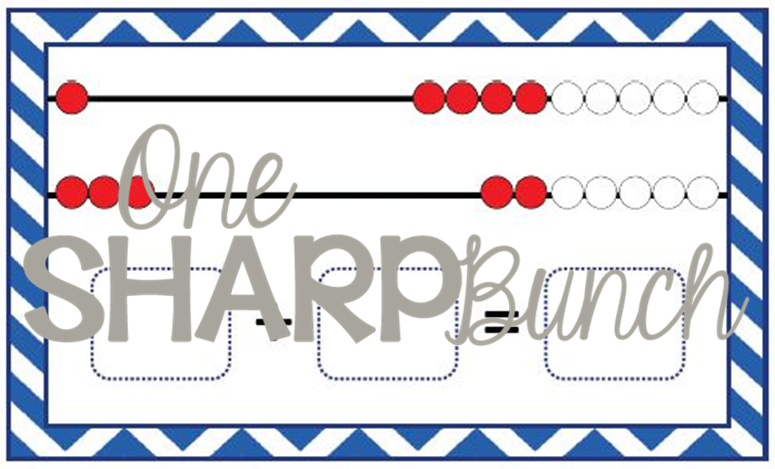 I also like to use these cards during center time, math tubs or Daily 5 math rotations. The students simply use a vis-a-vis marker to write the number sentence. Sometimes, I have them rebuild the rekenrek card using their rekenrek board, and sometimes we use other manipulatives to rebuild the number represented on the card. Then, they complete the response sheet by coloring the beads to match the card and writing the number sentence. My kiddos color the white beads black so that number is accurately represented on their response sheet. 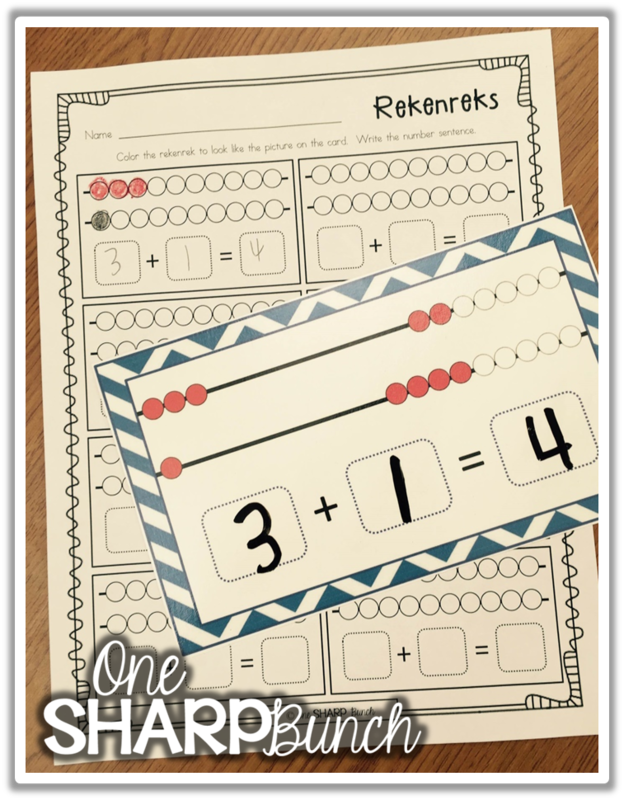 If you already use rekenreks in the classroom, or would like an easy way to introduce this mental math strategy to your students, please click the picture below to download the cards with sums 0-3 for FREE! If you are looking for sums 0-20, head over to my TpT store to grab all 121 cards! Click the picture below to see how my team made over 200 student rekenreks and 8 teacher rekenreks in only one day! For more number sense ideas, head over to my “Number Sense” board on Pinterest! 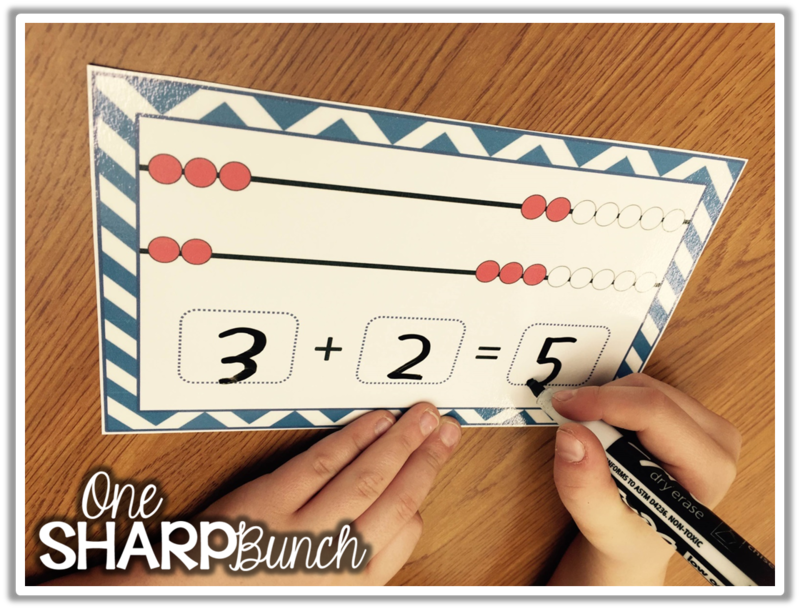 Follow One Sharp Bunch’s board Number Sense on Pinterest. Don’t forget to check out the other great books in this week’s edition of Book Talk Tuesday with Deanna Jump! So tell me…. do you use rekenreks in your classroom? I LOVE this! I can't wait to see how you made all of the rekenreks. That is on my to-do list this summer! I love your blog and just started following you! Thanks, Kelly! My kiddos really loved using the rekenreks! For some of them, it was the key that sparked that a-ha moment. Can't wait to share how we made them! Thank you for following me! Thank you, Amber! I am so glad my team was inspired by that video! It was totally a team effort in making them! Ashley! Thank you SO much! I have the Number Talk book sitting in my car. My Math Coach and I used it with my 2nd grade class. I haven't had time to review these K kiddos but this is exactly what I need and I need to get them up to 20 at least! Perfect. Thanks so much. Hmm, It is 7:30 my time – do I have any beads sitting around?! Haha. LOL! We must be in the same time zone! I was thinking of you this morning when I uploaded the picture. I almost tagged you! Please let me know if you need anything! Feel free to email me! This is so cute!!! Thanks for sharing this freebie. I love the whiteboard rekenreks. Awesome idea. Thanks, Amanda! So far, we love the whiteboard rekenreks too! Thank you for taking the time to comment! Enjoy!